“Connecting people businesses & communities to a better future - through logistics.” At Prime Cargo International we create strong relationship between growth in international trade and logistics infrastructure is widely acknowledged. Our diligent teams of professionals are highly skilled and spread all across the country play a very important role in the success of the company. They are engaged in modifying and executing their ideology to meet to offer variety to our clients. We are moving tons of cargo daily through Air and by Road on door-to-door and Airport services. Since 1992, we have made concerted effort in the expansion of our logistics business in coordinating every kind of logistics. Prime Cargo International is a premium service partner with a worldwide member in more than 365 countries of professional skills in engineering, project handling, project management, customer services, IT, custom brokerage, warehousing and transportation to really move your business. Yet, we are an independent establishment whose first priority is to benefit the customer. 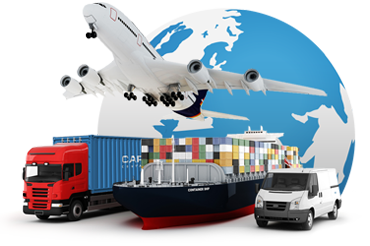 Being a freight forwarding company Prime Cargo provides its customers the satisfactory services according to the requirements of their business which may require the air freight services, sea freight services or road transportation and logistics, warehousing and supply chain management.